April showers are long gone, but that doesn’t mean the rains have stopped. 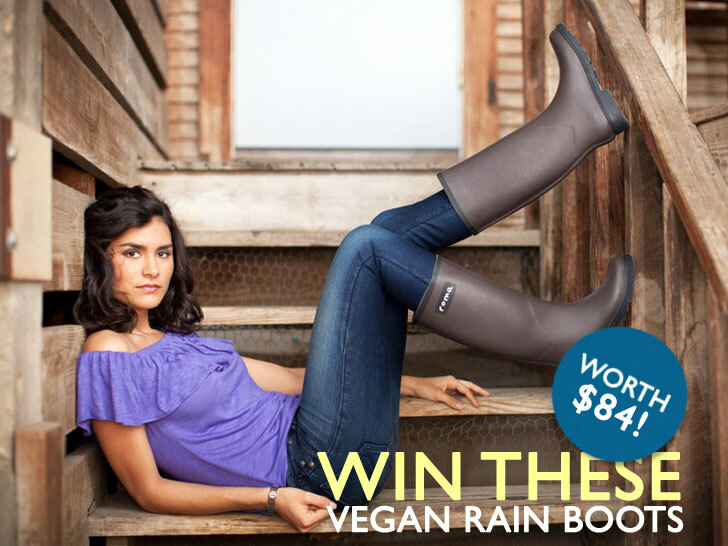 Roma‘s vegan rubber rain boots are made from 100-percent natural latex rubber, and they’re lined with cotton to keep your feet warm and comfortable. They retail for $84, and for every pair purchased Roma donates a pair to a child in need. But they could be yours for free if you enter and win our giveaway on Ecouterre! Click through for all the details. April showers are long gone, but that doesn't mean the rains have stopped. Roma's vegan rubber rain boots are made from 100-percent natural latex rubber, and they're lined with cotton to keep your feet warm and comfortable. They retail for $84, and for every pair purchased Roma donates a pair to a child in need. But they could be yours for free if you enter and win our giveaway on Ecouterre! Click through for all the details.